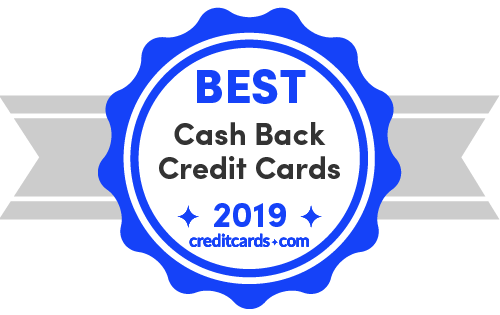 The Discover it Cash Back is arguably the best cash back credit card. Not only does it offer one of the best cash back rates, but it also includes one of the most valuable offers of any credit card: the first year cashback match. The 0% intro APR offer isn't the greatest, with only 12 months on purchases and balance transfers (then variable APR of 16.24% - 28.24% applies), the latter of which must be made within 120 days to enjoy the intro rates. You can do better on this front with the Chase Freedom. There's also a foreign transaction fee of 3%, which may not be the best choice for overseas travel. And there are cards that offer a better cashback rate on everyday purchases, such as the Blue Cash products from American Express. The Citi Double Cash is the ideal card if you are looking for consistent cash back on all purchases without any complications, limits, or categories to keep track of. While there are many flat-rate cash back cards, the Double Cash adds brings some extra oomph, as its name suggests. You earn 2% cash back on all purchases (1% as you buy + 1% as you pay), which is a cut above many competing cards. The card also comes with a lengthy 18-month 0% intro APR offer on balance transfers, after which the regular APR of 15.74% - 25.74% (variable) applies. There is no annual fee. Unfortunately, the card does not come with a sign-up bonus and there is no 0% intro APR period on purchases.